Clearwater, Florida is one of the state’s top fishing destinations. This area is literally surrounded by stellar fisheries. Whether the backside in Old Tampa Bay, or out on the Clearwater Beach side – fishing here is great all year long. We offer charters targeting redfish, snook, tarpon, sea trout, spanish mackerel, cobia, grouper, snapper, and so much more. Southern Outdoor Sportsmen offers guided trips daily into this area with some of the best guides in the state. So whether looking to sight fish the flats, hit the mangrove systems, or even trek the intercoastal waterways – we have you covered! This is a trip and an area you simply do not want to pass up. Southern Sportsmen Outdoors offers competitive pricing for our Clearwater fishing charter offerings. See current rates (including info for half, 3/4, and full day trips) and details (what to bring, what to expect, etc) at the link below. 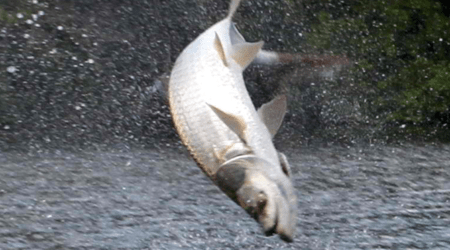 Clearwater is one of the top places to fish for the major Tarpon run that happens seasonally here in Florida, as well as offering anglers the ability to target our resident Tarpon throughout most of the year. Clearwater, Florida is nestled in between Old Tampa Bay and Florida’s Gulf Coast out towards Clearwater Beach. This allows anglers a multitude of inshore and nearshore fishing opportunities for all of the area’s top game fish species. On the inshore side there are vast grass flats, mangrove systems, and oyster bars that attract species such as redfish, sea trout, and snook. 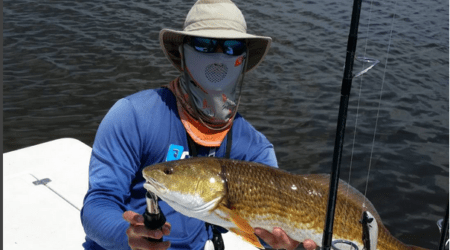 On the ocean side there are other inshore opportunities that will allow you to fish intercoastal waterways as well as many of the same inshore structures that are found in Old Tampa Bay. On the beach side, nearshore opportunities for migrating tarpon, spanish mackerel, snapper, and grouper are all present. This combination makes Clearwater one of the best fishing destinations in the state. We offer guided fishing trips into Clearwater all year long. Though some species may be seasonal, there is always something biting here!